Let's Study Japanese Language Together At Yamate Language Class KIZUNA. 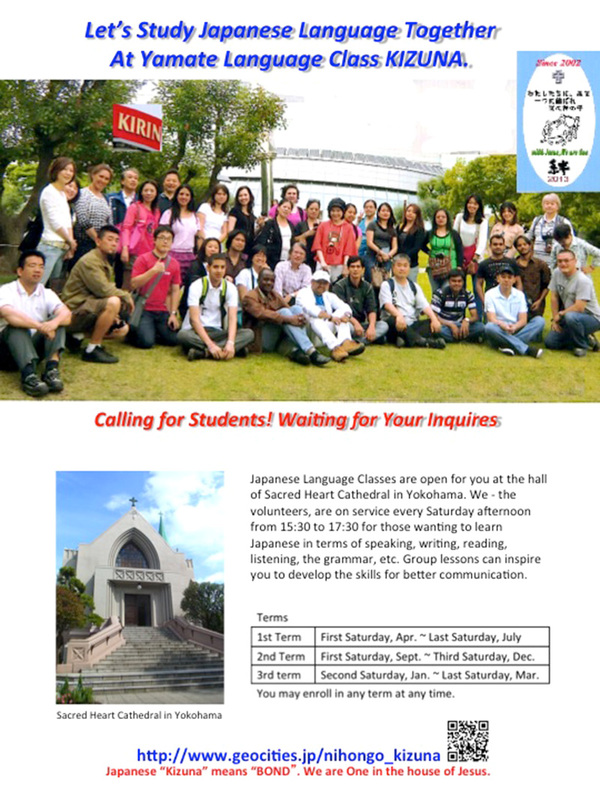 Japanese Language Classes are open for you at the hall of Sacred Heart Cathedral in Yokohama. 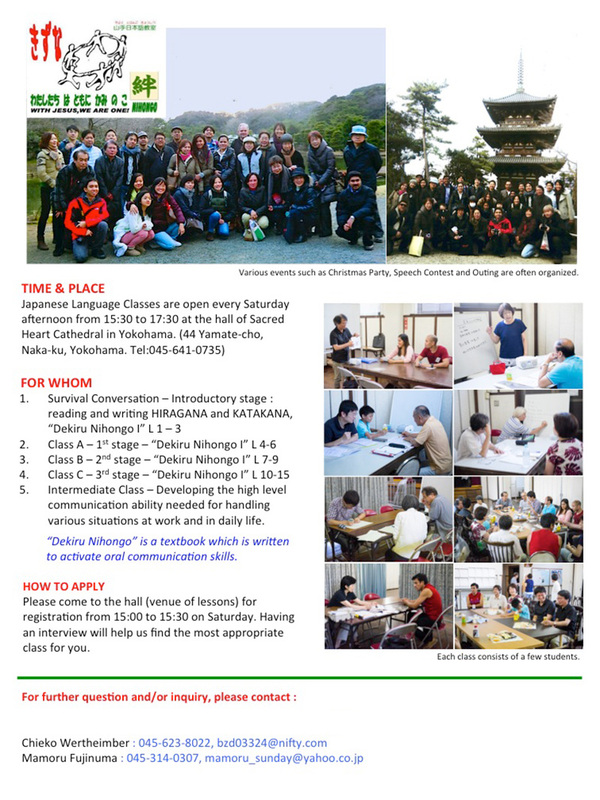 We – the volunteers, are on service every Saturday afternoon from 15:30 to 17:30 for those wanting to learn Japanese in terms of speaking, writing, reading, Listening, the grammar, etc. Group lessons can inspire you to develop the skills for better communication. 2nd Term First Saturday, Sept. – Third Saturday, Dec.
3rd Term Second Saturday, Jan. – Last Saturday, Mar. You may enroll in any term at any time. Japanese “Kizuna” means “BOND”. We are One in the house of Jesus. 5.Intermediate Class – Developing the high level communication ability needed for handling various situations at work an d in daily life. “Dekiru Nihongo” is a textbook which is written to activate oral communication skills. Please come to the hall (venue of lessons) for registration from 15:00 to 15:30 on Saturday, Having an interview will help us find the most appropriate class for you.